Avery Elle Inspiration Week is still going strong! 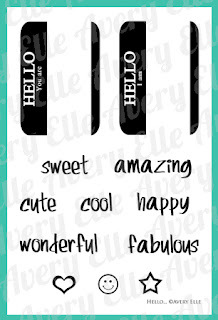 Today I'm featuring a card I made with the uber-cute "Hello" set. So much fun! If you all use the template, I would love to see what you all make! This was a great project for me to use some of the patterned paper I've been hoarding saving! Here's a look at the entire "Hello" set! Thanks again for stopping by! Tomorrow I will be sharing the final of projects for Inspiration Week! I hope that you have found something this week to inspire you! If you have any questions about the techniques or products I've used, please don't hesitate to email me! Great Card!!! love that stamp set! Truly adorable. If he is Mr. Right then he is Mr. Right - even with his multi-colored bow tie :). It's really cute. Fantastic card, that jacket with the name tag is so fun! This is so cute JJ! Love what you did with the Hello stamp! Fabulous card!! loved that stamp set. What a cute card! Love your bow tie!! This card makes me smile! Love his get up! So fun! This is so cute JJ~I love it! I must have been sleeping under a rock...I just heard of this amazing stamp company now. What an awesome name and fantastic graphic designs! Wow awesome creation. I luv the colors too. I don't know if he'd be my mr. right in that outfit, lol! But the card is so very cute - you always amaze me with your creativity! Another oh so clever design! Love the name tag on Mr. Right and his awesome suit and tie - the buttons are the perfect touch! Great imagination and perfect use of this great stamp! I love how you put a spin on these stamps and they turn out so fabulously! Another clever and fun creation! Way too cute! I love it!! That gave me such a laugh! I LOVE it, so perfect from the stamp to the tie to the striped suit and colors. 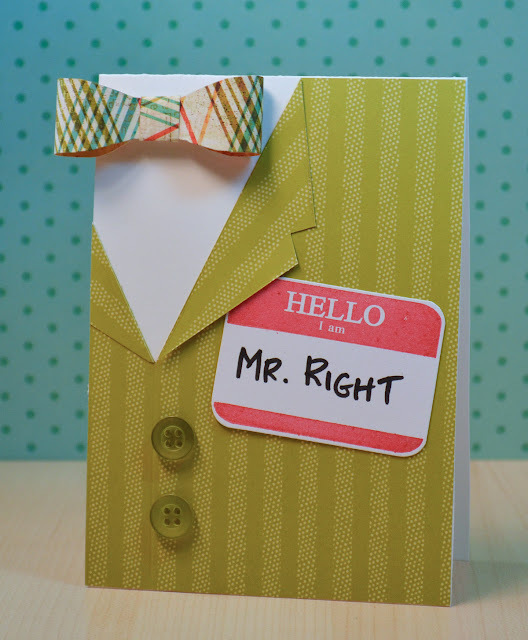 What a cute card... it is perfect for the male figure in your life. Good thing you hoarded that paper, it's PERFECT for a very confident Mr. Right's jacket! What I like the best? That it's off-center. Fantastic! And thanks again SO MUCH for the give-away. Can't wait to see!! What a totally fun and creative idea!! Aloha from Hawaii, JJ!!!! 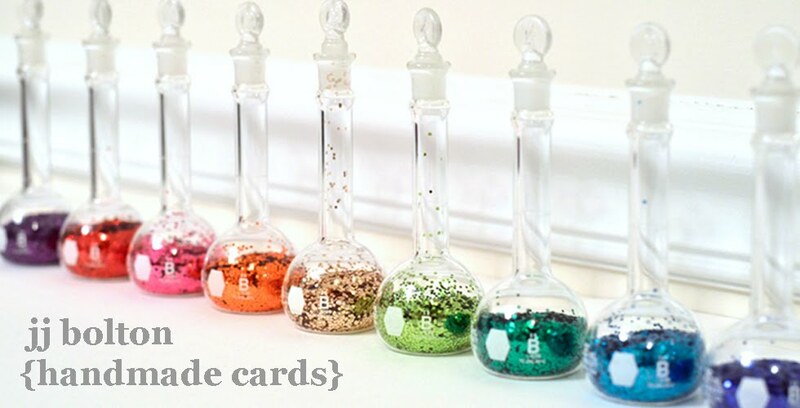 Saw this fun card on Pinterest, loved it...clicked on it to learn more...and VOILA...I discovered your awesome blog! Got so excited to learn you were from the islands! Got you bookmarked now for a great place to come for some creative inspiration! Mahalo! What a great, fun card!! Hello amazing card! Seriously? WOW girl! I love this!! Oh, I love this!! Right down to the Pee Wee Herman bowtie!! Too cute, JJ!! so cute... thank you for sharing.